Jani joined Spinverse in 2017 to work as an Analyst with New Business Development and cutting-edge technology consulting related activities. Before joining Spinverse, Jani has gained hands-on experience within petrochemical industry with Borealis and experience from projects related to circular economy, procurement & supply chain development and analysing hi-tech opportunities. 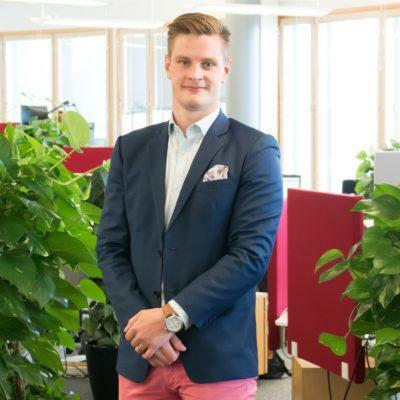 During his studies at Aalto University and National University of Singapore he has specialized in supply management, materials processing and circular economy. He is fluent in Finnish, Swedish, and English. Jani spends his spare time playing ice hockey and golf and enjoying the company of family and friends, which he preferably does at sea or in the beautiful Finnish archipelago.